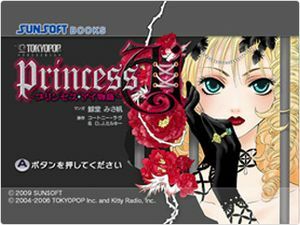 Princess Ai Monogatari (プリンセス・アイ物語) is a grand fantasy and love story of a heroic girl from another world. Character design is handled by charismatic manga artist Yazawa Ai, cartoons are created by Mr. Caterpillar Misa, and the original story was taken from American rock vocalist Courtney Love. The story has already been translated and published in more than 40 countries around the world, and there are fans all over the world. This game contains both English and Japanese captions. In English subtitles you can enjoy the story of the English version localized for English-language manga fans. A comic viewer with comics from the 1st ~ 3rd stories are included in the software body as a set. Using the Nintendo Wi - Fi connection paid service, you can download 2 consecutive comic books as additional downloadable content, and it will be completed with a total of 15 episodes. The graph below charts the compatibility with Princess Ai Monogatari since Dolphin's 2.0 release, listing revisions only where a compatibility change occurred. This page was last edited on 26 January 2018, at 12:03.